How to Create a Website and Optimize for Peak Performance? One of the questions I get the most is, how can I save some money and create my website? Although I find that saving money is probably not the best option if you have never built a website I understand not everyone sees the value yet in paying for a professional to get you quick results, teach you the ropes, and get you the much-needed results you are seeking. So after many years of building websites ( I built my first one in 1998), I want to share some of the premium tools we use here at the agency when building websites. Some tools that I use as a Web Developer Use. I have been developing websites for almost 20 years. The first internet sites I coded by hand in HTML and were not much different than probably a few word documents put together with some images. Over time I started understanding how to use layouts and such and then came the era of making sure your site was responsive, adaptive, and able to be seen in the multiple devices we use and carry around daily. Then we moved towards using PHP and MySQL to create some pretty basic CMS functions. Over time we moved over to Drupal and then decided we could spend more time improving our client websites vs. coding and trying to stay up to date with all the vulnerabilities of Drupal. When I think of the top CMS platforms like Drupal, WordPress, and Joomla, WordPress is currently dominating the internet. 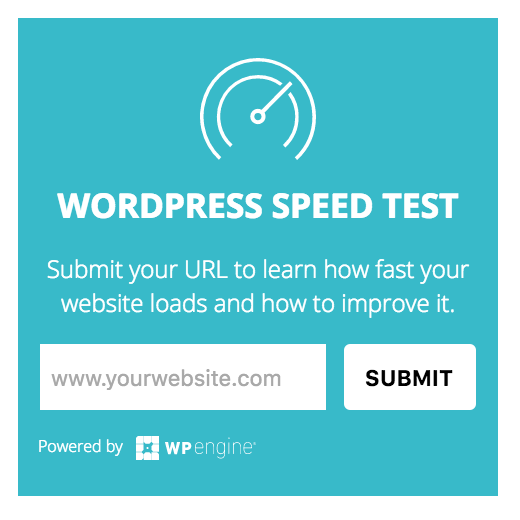 It is also a lot easier to use WordPress than the other two, and with the many developers creating supporting software (called plugins) it makes it even more of a no-brainer to stay with WordPress. When we made the shift to WordPress, we also ran into a very reliable platform called Genesis. We have been using this platform for the past seven years, and it has helped us maintain all our websites up to date and mitigate the probability of our sites having malware or other issues. This is probably the most overlooked component of having a website performing well. The same way you would not want to build your house in a dangerous or high crime area. You probably don't want to host your website on the cheapest platforms around. We have worked with many hosting companies, and the past few years we have seen an increase in malware and websites being hacked in platforms like Bluehost and Godaddy. So we recommend you remain clear of them. WP Engine - Our hosting partner WP Engine has been a lifesaver. Not only do they have some pretty awesome features. They make it extremely easy and secure to run a website on their platform. Their support is excellent, and it's hard for us to recommend any other hosting provider. Choosing a Theme or Theme Framework is the trickiest when it comes to WordPress. It's also one of the most critical decisions. My advice is to use one of the themes created by reliable developers and maybe hire a developer to tweak it and make it look like you want it to look. Overall, this can be an overwhelming decision because there are so many theme or template options. As of right now we only recommend the following two vendors for themes. Genesis Framework - The Genesis Framework has over 60+ themes they recommend. We have used this framework since 2011 when we switched to WordPress following advice from our strategic business partner Chris Brogan. 95% of the sites we build are on the Genesis Framework. Even the themes we customize are using Genesis Framework as a backbone. Beaver Builder - Beaver Builder, is not only a theme but also a page builder. We started using this theme/plugin to accelerate the creation of sites that are mobile friendly and adaptive. The plugin also can be integrated with Genesis and other existing themes so you can create pages and enhance an existing theme even more. Just recently Beaver Builder added there theme option which helps users create their own themes using Beaver Builder. There are also plenty of pre-made templates so you can create more content. Ultimate Addons For Beaver Builder - Ultimate Addons for Beaver Builder is a Product by Brainstorm Force. It takes your Beaver Builder plugin and theme to all new levels. It's way worth the purchase since having this has saved us lots of time on development. The other issue we find when we check a WordPress website is the use of the incorrect plugins. There are free plugins that appear like are saving you time and money, but these can come at a hefty cost when they are not updated or were not built by an experienced developer. So to get you started here are a few plugins we use that are reliable, add lots of value, and will work as advertised. Also, these plugins have been vouched for by our partners; there have not been any known security issues at the moment we wrote this post ( July 18, 2017 ). Social Warfare - As they describe themselves, Social Warfare is WordPress plugin that adds beautiful, lightning-fast social share buttons to your website or blog. We use it on our more important websites and recommend it to clients. The best value out of the Pro-Version is helping you choose the thumbnail that you want appearing when someone shares a link on Facebook, Twitter, Pinterest and other platforms. WPML Wordpress Translations - Many like us who live in a bilingual country need to communicate in multiple languages. We have been using WPML for at least six years, and it has evolved and become our preferred plugin to translate our client sites. CallPage - This tool engages your website visitors and helps to provide an immediate response from your company’s reps. Setup takes around 5 minutes. It has worked great for most of our clients. GravityFlow - We have used this tool internally for our processes to streamline our sales process and many other complex processes. Most small businesses have a website and can use this to make their website a tool to make their life easier. Turn your email and spreadsheet chaos into secure, scalable and efficient workflow systems. Monitoring and Auditing your site. Everyone gets excited about the creation of a website, but they quickly forget how important it can be to continue improving, learning, and monitoring the performance of your website. Here are a few of the tools we use to create better content. KWFinder - KWFinder is an easy-to-use keyword research tool bringing perfect keyword ideas. We use this as part of our process to increase the probability of our great clients content being found. Raven Tool & Site Auditor - Once a website is up you have to check if everything is working well. Site Auditor quickly analyzes your site to find all of the desktop and mobile SEO issues that may be keeping your site from ranking on search engines like Google. There are many other tools we use and will continue to share and update this post as we consider it worth the value for you. The digital marketing eco-system touches on many aspects from Content Creation to the actual tools we use to make sure the code and software we work with are optimized. What questions do you have when it comes to building your website?